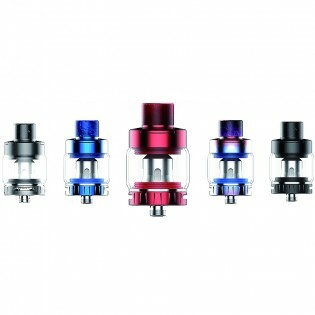 Kanger XLUM 4.5ml Tank is designed for XLUM Kit. It features unique airflow system and convenient top filling design. The NR MESH 0.18ohm Coil can heat up faster and evenly, providing you with an original flavor. And it also compatible with NR8-OCC and NR2-OCC coils. 1. With 4.5ml e-liquid capacity, it is designed for XLUM Kit. 2. Convenient to refill with top filling design. 3. Unique airflow system, provides smooth airflow. 4. Features NR MESH 0.18ohm Coil, providing you with an original flavor. 5. Compatible with NR8-OCC and NR2-OCC coils.